The Bush Furniture Wheaton Reversible Corner Desk offers a compact and flexible workspace solution. 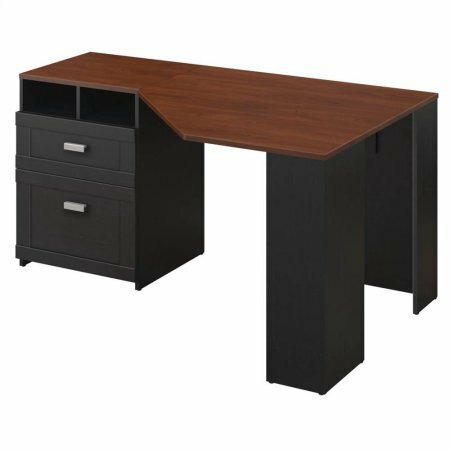 This reversible desk features a pedestal that can be configured for both left- or right-handed preferences with efficient filing storage and open cubbies for books or supplies. The small footprint combined with corner flexibility and casual stylings make this a perfect fit for the home or any office where space is at a premium.